I teach all levels from beginners to advanced professionals. I teach all styles, including classical and jazz out of my studio in Castro Valley, California. I also teach via Skype for students that are too far away to travel to my studios. If you are interested in Skype lessons, please see the requirements. Philosophically I try to give my students a well grounded instruction in theory, saxophone fundamentals (embouchure, breathing, tone production, tonguing, etc.,) and style (phrasing, interpretation, etc.) 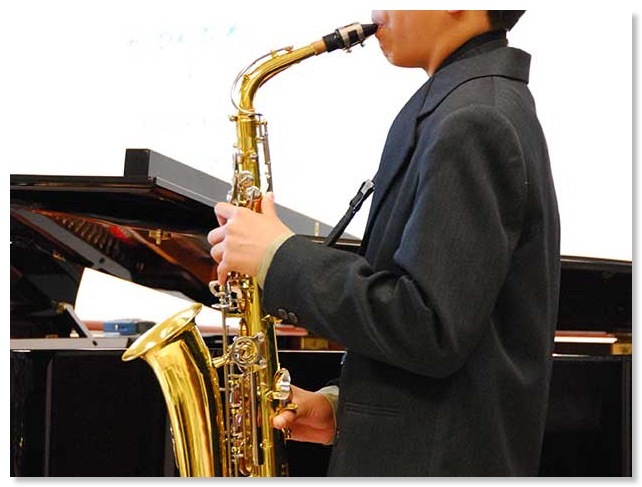 My students have a chance to perform at CMEA Bay Section Solo and Ensemble Festivals, and area concerto competitions. In addition, I have had students almost every year make the CBDA/CMEA All-State Honor Bands.